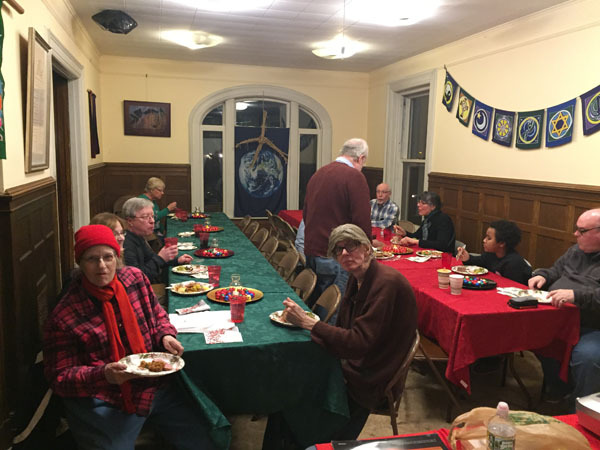 Our annual Solstice Dinner was held at the Unitarian Church in New Haven. This is really a nice location to have our winter get-together. There are 4 rooms for people to spread out in while still being close to everyone. There could not be a nicer, friendlier bunch of people to hang out and have dinner with. We had about 25 or so show up which is about a third of our membership so I think this is impressive. As always, there was way too much food. The food is consistently delicious and we all tried to have a little bit of everything. We were also treated to a video showing some amazing data and computer graphics on the structure of the Milky Way, made possible by the very precise data gathered by the Gaia spacecraft. After the video there was some interesting discussion about what we saw, and several people also mentioned their own recent night-sky observations. 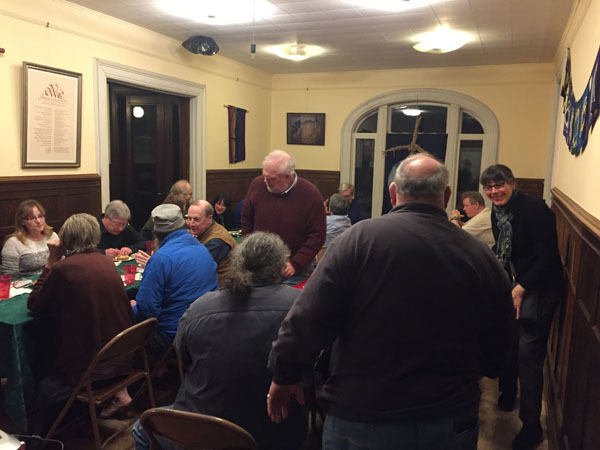 A highlight of the evening was the 27th annual edition of Al Washbur’s astronomical quiz. The quiz had a little mishap which he humorously tried to hide. First place went to Jim Mazur, second to Dave Johnson and third was a tie between Bob Carruthers and Donna Pursley. There was a quick raffle also and Elisa Predom won the astronomy coasters. It was all over way to soon as we say goodbye to another year. We want your newsletter submissions. 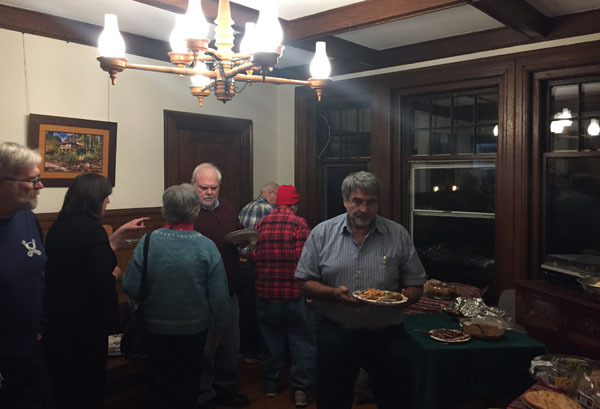 ￼The Astronomical Society of New Haven, Inc.
Is a non-profit, scientific and educational organization which fosters new and continuing interest in amateur astronomy. The general membership meetings are open to the public and attendance is encouraged. ASNH Members can take advantage of a 10% discount on newsstand rates for both Sky and Telescope and Astronomy Magazines. Please contact the Treasurer to receive this benefit.